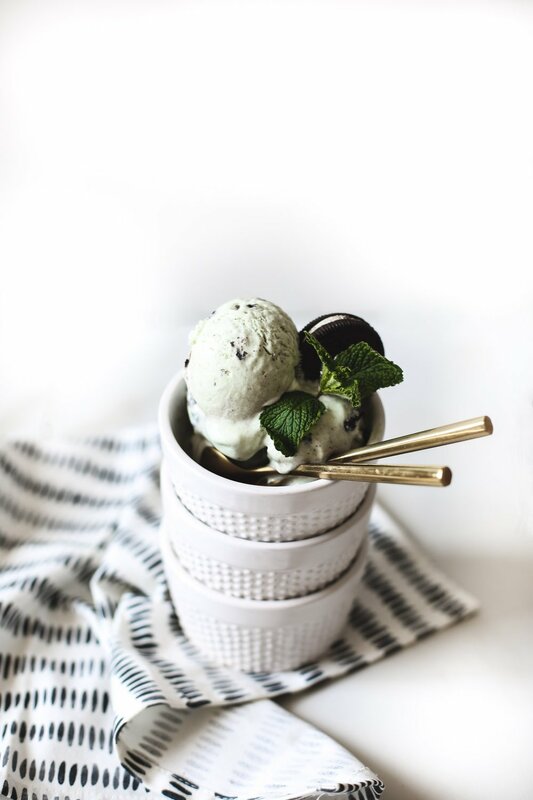 If you asked me as a child what my favorite summertime dessert was, without hesitation, I would instantly have replied “Ice cream or grasshopper pie!”. As an adult, I’m like “grasshopper pie IN ice cream!” Because why settle for one dessert when you can have two? That’s my dessert philosophy and I’m sticking to it. Truth be told, I have so many favorite desserts these days that I’d temporarily put the always delicious and easy-to-make grasshopper pie on the back burner. But when I was coming up with ideas for this month’s Sugar & Cloth post, I knew it was time to revisit my old friend. But with a little bit of an update. Enter this no-churn grasshopper pie ice cream recipe. It tastes exactly like grasshopper pie, but in ice cream form, and dare I say, it’s even easier to make than the actual pie. 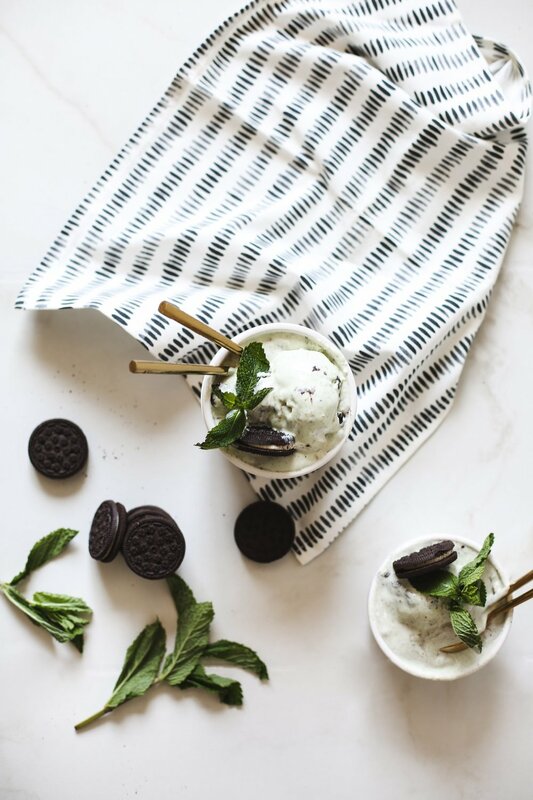 Needless to say this ice cream recipe, which you can find on Sugar & Cloth today, is giving the OG grasshopper pie a run for it’s money.